Born in 1939, Barbara has enjoyed a long and successful career, pursuing her first love - painting. Although guided and influenced by several well-known Australian Artists, she is basically self taught. 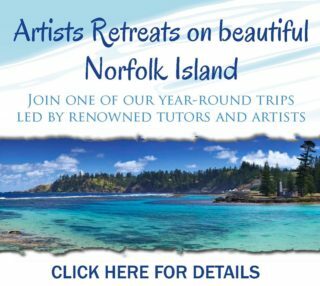 Her expertise has developed over five decades, and for many years she was a well-respected tutor in both oils and pastels, and now enjoying a well-deserved retirement from teaching. To Barbara painting is a passion, and sharing her gift is important to her. She has demonstrated her techniques in painting at Art Societies and Rotary Art shows throughout Victoria, and over the years has been called upon to judge many of these events. Since 1971 Barbara has won over 100 major awards as well as many commendations too numerous to mention. These achievements have gained her much recognition throughout her career. Barbara paints mainly in pastels and oils these days, but she is also noted for her work in gouache and occasionally watercolour. Through these media, she captures with true colour and clarity of vision her love of the Australian countryside. Barbara likes to explore her inner vision, and always endeavours to re-define her spiritual relationship with the Australian environment as well as the English and European and more recently the USA environments. Over the years Barbara has held regular solo exhibitions and in 1998 and 2000 she had two very successful solo exhibitions in England, UK. 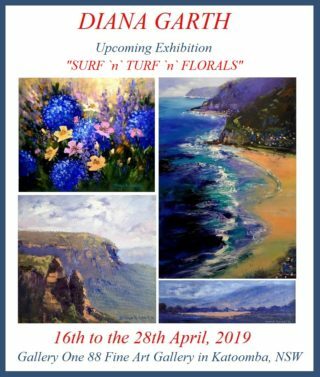 In 2012, she held a Retrospective Exhibition at the Sherbrooke Art Society, Belgrave, and more recently in 2013 - David Sumner Gallery in Adelaide, and 2014 - Brialyn Boathouse Gallery, Frankston. Painting is my life, my greatest passion and always has been. Hardly a day goes by when I am not at my easel. I love all things beautiful and I endeavour to capture the true beauty of nature in every form as best I can. We live on a beautiful planet, and to replicate its beauty no matter how meager, is a joy for me, then, to share it with others the added bonus. Although I paint in oils and sometimes gouache, pastel is my favourite medium. Having watched a demonstration by a prominent pastel artist in the mid 80’s, I decided then to give it a go myself, and I have been painting with pastels ever since. I enjoy the challenge of painting something different – this includes portraits, people interacting in the landscape, animals, and still life, and I have been known to paint an occasional abstract, but I do have a special affinity with the landscape, particularly the autumn landscape, so rich in colour. I keep my work realistic but as ‘paintly’ as possible; however I generally let my subject determine the particular technique I use. When choosing my subject I usually look for the light, colour and mood, these being my inspiration. I work on coloured paper and I use all brands of soft pastels. August, 1988 - Article and demonstration. July & August, 2015 editions. Australian telephone directory: 1989 - Front cover reproduction, 057 area code, white pages. The Australian Guild of Realist Artists magazine: Front cover and article. 1st edition. 1974 - Biography and reproduction. 3rd edition -1984, Biography and reproduction. Pastel Artist International: 2nd edition 1999-2000 - Reproduction. Barbara was a signatory member of the Victorian Artists Society, and is an ex-councilor and a signatory member of the Australian Guild of Realist Artists (AGRA); an honorary life member and Past President of Sherbrooke Art Society; an ex member of Ringwood Art Society, and a member of the Pastel Society of Victoria. 1971 Annual Award – Sherbrooke Art Society. 1973 1st prize for Miniature - Royal Melbourne show. 1st Prize Bright Autumn Festival. Charles Godden Award - Sherbrooke Art Society. 1977 1st Prize - St Albans Rotary Art Show. 1978 1st Prize - Sir Arthur Streeton Award, Sherbrooke Art Society. 1st Prize - Monbulk Rotary Art Show. 1979 1st Prize - Sir Arthur Streeton Award – Sherbrooke Art Society. 1980 Diamond Valley Acquisition Award . 1981 Ist Prize - Bright Autumn Festival Award. 1st Prize - I.D.Y.P Award-Wandin. 1st Prize - Sunbury Rotary. 1982 1st Prize - Streeton Award – Sherbrooke Art Society. 1st Prize – Box Hill City Art Show. 1st Prize - Sunbury Art Show. 1983 1st Prize - Frankston Festival. 1st Prize - Bayswater Rotary Art Award. 1st Prize - Shrerbrooke Art Society - Tom Roberts Award. 1984 1st prize -Korumburra Rotary Art Show. 1st Prize - Sunbury Rotary Show. 1st Prize - Mooroolbark Art Show. 1985 1st prize – Mt Lilydale Art Exhibition. Special Award – Altona Rotary Art Show. Best Oil – Hamilton North. 1986 1st Prize – St Albans Rotary Art Show. 1st Prize - Wesley College. 1st Prize – Brighton Rotary Exhibition. 1st Prize – Waverley Park. 1987 Best Local Content – Belgrave Fire Brigade Art Show. 1st Prize - Spring Exhibition - Sherbrooke Art Society. 1988 1st Prize – Bayswater Rotary - Mixed Media. 1st Prize Overall Award Corio Rotary Art Show. 1991 1st Prize – Mansfield Hospital Auxilary Art Show. 1994 1st Prize – Pastel – Wangaratta. 2002 1st Prize - Sir Arthur Streeton Award – Sherbrooke Art Society. 2003 Best Non Traditional – Pastel Society of Victoria. 2004 Best Traditional Pastel – Wangaratta Art Show. Most Popular Vote – Spring Exhibition – Sherbrooke Art Society. 2005 Artist of the Year Award - Ringwood Art Society - 1st Prize for 3 works. 2006 1st Prize, Pastel – Knox Rotary Art Show. 1st Prize, Pastel – Mount Waverley. 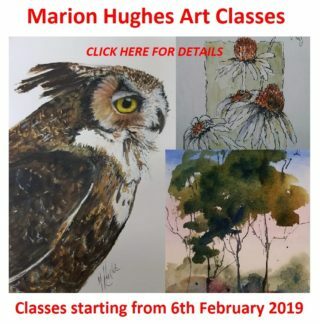 1st Prize–Yarra Ranges Vintage Artist’s. 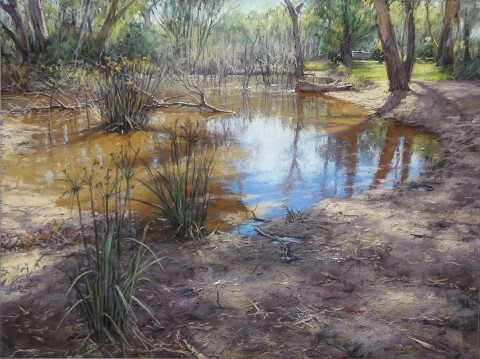 1st Prize - Landscape – Pastel Society of Victoria. 2007 1st Prize – Hamilton Rotary. 1st Prize River/Lake Scene – P.S.V. Best Pastel – Wangaratta Art Show. Highly Commended – Camberwell Rotary Art Show. 1st Prize, Best Pastel - St Kevins Art Show. 1st prize Best Pastel – Mt Waverley Art Show. 1st Prize AGRA Spring Exhibition. 2010 Merit Award – Corowa Federation Art Exhibition. 1st Prize, Overall Exhibit Mont de Lancey Acquisition Award. 1st Prize - Best in show Award - Pastel Society of Vic. 1st Prize – oil painting between $400-700 – Rotary club of Hamilton North. People’s choice Sherbrooke Art Society Spring Exhibition. 1st Prize - Pastel – Korumburra Rotary. 1st Prize for oil – Belgrave Fire Brigade Art Show. Runner-up in Best in show, Pastel Society of Vic. 1st Prize - Pastel – Wangaratta Art Show. 2012 Merit award - Corowa Art Show. Major Award, 50th Year Anniversary Exhibition, “Best Local Content – Bright. 1st Prize - Best works on paper Box Hill Rotary. 3rd Prize - Mont De Lancey. 2nd Prize Landscape - Pastel Society of Victoria Exhibition. 2013 1st Prize - works on paper, Corowa Art Show. Volunteers Award - Phillip Island San Remo Art Show. 2nd Place – Warrandyte/Donvale Rotary. 1st Prize - Best Pastel - Rotary Club of Drysdale. 1st Prize - Best Pastel - St Kevins Art Show. 1st Prize - AGRA-AAL Autumn. 1st Prize - Best Landscape Pastel Society of Victoria. 2014 1st Prize - Best pastel – Korrumburra. Streeton Award SAS – Highly commended. AGRA Winter Exhibition – Highly Commended. SAS Spring Exhibition – Best Pastel. Pastel Society of Vic Aust – Runner-up Best in show. AGRA- Artist of Excellence Medallion Award. 2015 Victor Harbor – Best painting to $1750 value. Korumburra Rotary – 1st prize, best painting in show. AGRA Summer Exhibition – Highly Commended. Lakes Entrance Rotary 1st Prize, Best in show. Numurkah Rotary Art Show – Highly Commended. Drysdale – Best Traditional Work. Bright – Best Alpine Subject. St Kevins – Highly Commended. Mont DeLancey – Highly Commended. Pastel Society Of Vic. – Best Landscape. Best Pastel at the Wangaratta Art Show. First prize Lakes,and Rivers Challenge No 62.